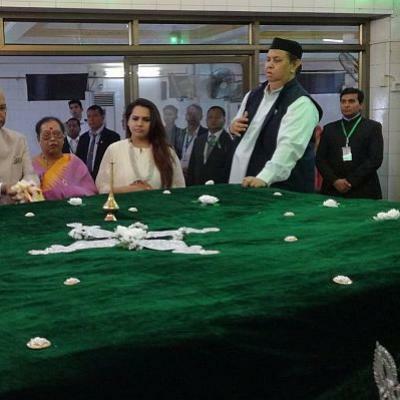 President Ram Nath Kovind on Thursday paid respects to Bahadur Shah Zafar, the Mughal dynasty’s last emperor, by offering a ‘chadar’ on his mausoleum in Yangon. Kovind is in Myanmar to continue India’s high level bilateral engagements under the rubric of the ‘Act East’ and the ‘Neighbourhood First’ policies. Zafar, who was also a prolific Urdu poet and calligrapher, died at the age of 87 in then Rangoon, where he was exiled to by the British after the first war of Independence of 1857.